The Canotonese Alphabet mobile application is now available on iTunes App Store. This helps you to read Cantonese, spoken in Southern China including Hong Kong. It's just US$1.99. But this now! 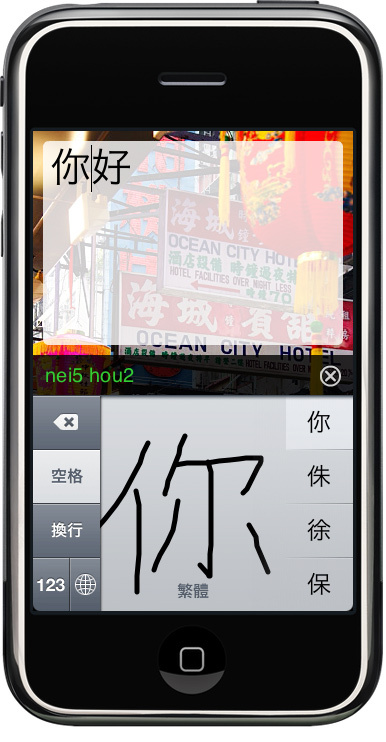 To enter Cantonese phrases, use iOS's built-in Traditional Chinese hand-writing keyboard. The app also have online translation feature. This means you can translate English to Cantonese to read them in Cantonese. This was the latest member of the series of my Asian Alphabet applications. 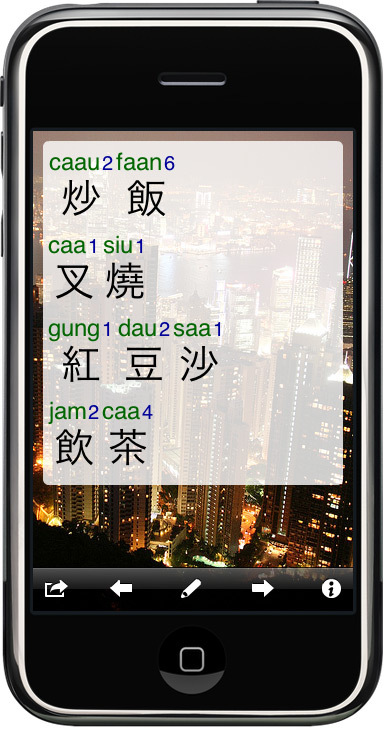 Complete all five apps for Korean (Hangul), Chinese (Simplified and Traditional), Japanese and Cantonese!